Africanized honey bees (AHB) -- also called Africanized bees or killer bees -- are descendants of southern African bees imported in 1956 by Brazilian scientists attempting to breed a honey bee better adapted to the South American tropics. How can I avoid an encounter with unfriendly Africanized honey bees? How can I reduce the chance Africanized honey bees will attack me if they are around me? How can I escape an attack if I am attacked by Africanized honey bees? Have you had a problem with Africanized honey bees? Arizona's first human fatality from Africanized bees occurred in October, 1993 when an 88-year-old Apache Junction woman disturbed a large Africanized honey bee colony in an abandoned building on her property and was stung numerous times. 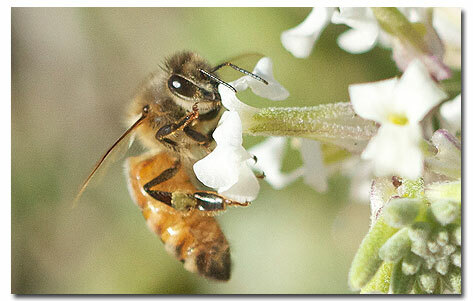 Click Here for the video on Honeybees.